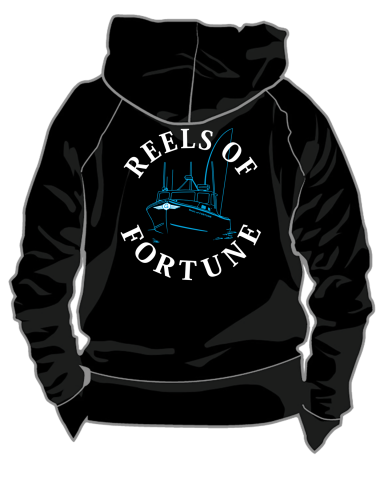 Keep warm this winter with our full zip hooded sweatshirt. 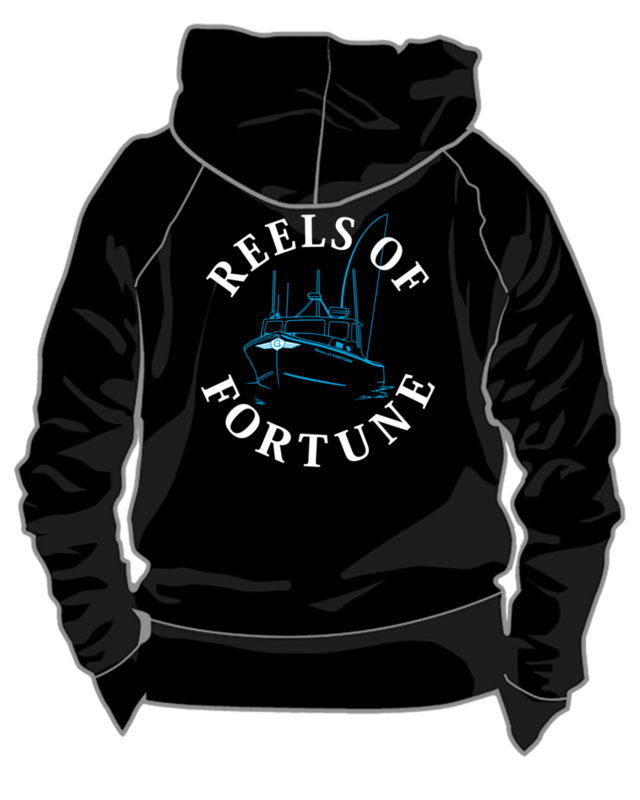 This sweatshirt features the Reels Of Fortune Logo front and back along with the Griffin Fisheries logo on the right sleeve in our classic white and blue print. 8 oz. Adult 8 oz. 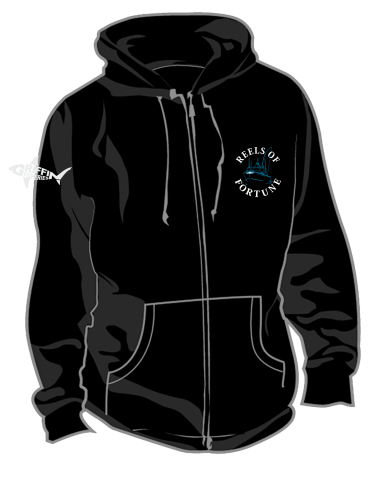 50/50 Poly/Cotton preshrunk fleece knit sweatshirt with satin label, metal zipper and split front pouch pocket.